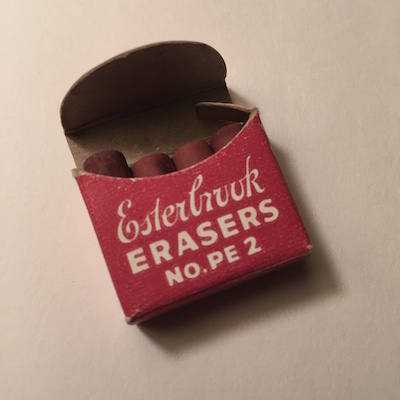 Ramona Quimby’s eraser is a brand-new Pink Pearl, “just right for erasing pencil lines.” Long before I bought these erasers (from a fading stationery store), they had hardened into uselessness. They’re just right for erasing nothing. Esterbrook was a venerable name in nibs, fountain pens, ballpoint pens, and mechanical pencils. 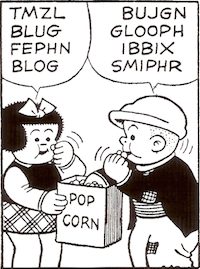 I imagine that at one point this tiny box sat behind a counter, in a drawer with other tiny boxes of erasers. No blister packaging in that world.